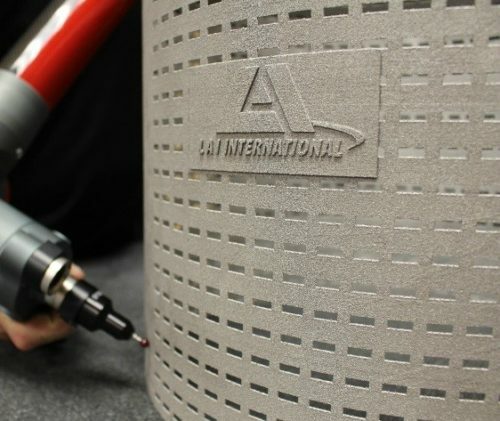 As the Additive Manufacturing industry moves more towards end part production, especially of critical parts, the question of how to guarantee consistent quality while maintaining a positive business case becomes more relevant. The answer to that question can be found by learning from the hundreds of years of manufacturing experience behind us and applying that to this new technology. The first element of a controlled process is locking down the variables as much as possible using process controls and documentation (PCD). This can be challenging with a technology that is changing and improving every day, but at some point, a line needs to be drawn and no changes will be implemented after that. The 2018 RAPID+TCT Show closed with many great opportunities for our Business Development team to follow up with our current Customers and plenty of new ones! 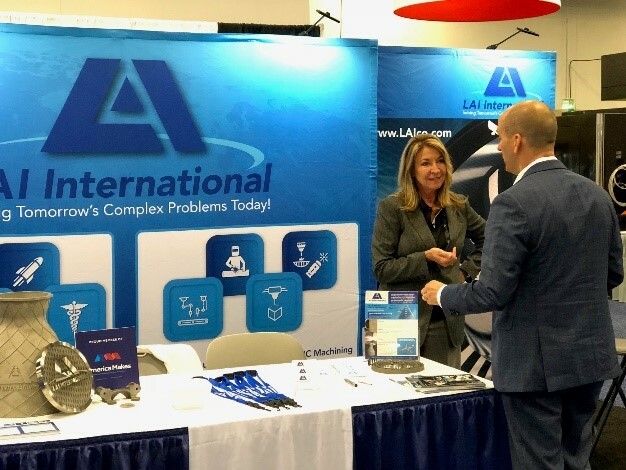 The many visitors we met at our booth included the likes of Airbus, Aerojet Rocketdyne, Bell Helicopters, The Boeing Company, Eaton, General Motors, Gulfstream, Honeywell, Lockheed Martin, Northrop Grumman, Pratt & Whitney, Solar Turbines, and Textron Aviation. Our discussion covered products and development opportunities that cover Aerospace and Defense, Automotive, Industrial Gas Turbines, and Medical which are markets we currently serve. We look forward to developing these relationships and moving the interests of these companies and others as they venture into the Additive Manufacturing technology platforms we are currently engaged in. We are in a unique time in history. This is the first time that four, sometimes even five, different generations are working side-by-side in nearly every industry around the world. 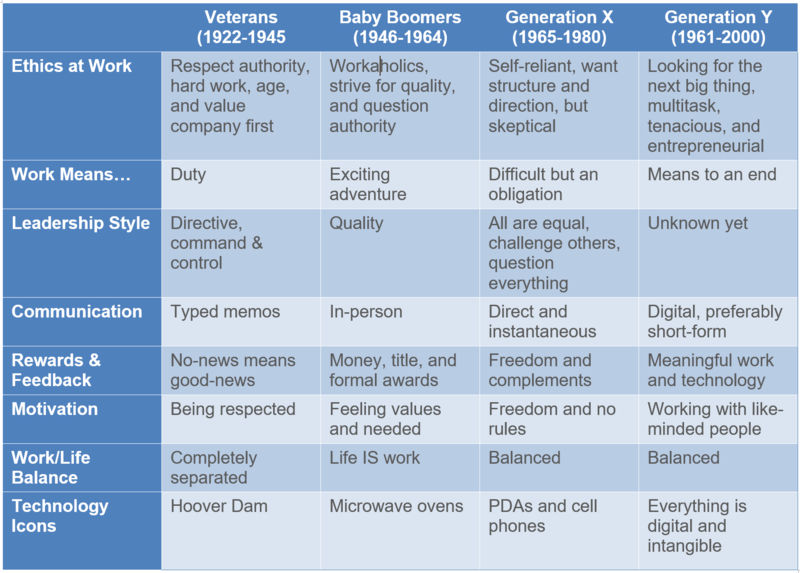 Each generation carries a set a values and communication styles different from one another. This is what makes each generation so valuable to the workforce, but these differences can also present challenges. 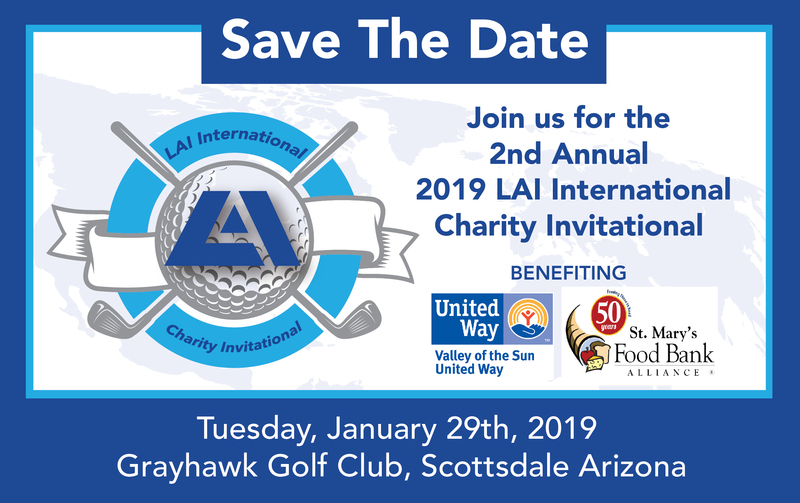 LAI values our Associates from each and every generation. We would not be where we are today without contributions and collaborations from everyone. We also know that leadership across generations continues to evolve just as our workforce does, and we are committed to meet the demand and make the most of our diversity.